There is no one story about what happened on April 20, 1999 at Columbine High School. Twenty years later, 9NEWS is revisiting some of the people and places that changed forever after the tragedy that defined the community. April 20 marks the 20th year since the 1999 shooting at Columbine High School. Survivors and the families of victims gathered at Clement Park to make sure that they are never forgotten. Multiple survivors of the attack as well as former Principal Frank DeAngelis discussed a service with the theme: Remember, Reflect, Recommit. 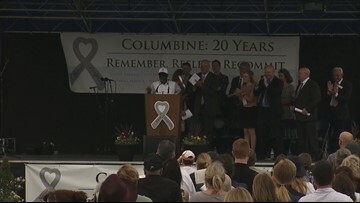 The Columbine community gathered at Clement Park Saturday afternoon to honor the 12 students and teacher who were killed in the April 20, 1999 shooting at Columbine High School. 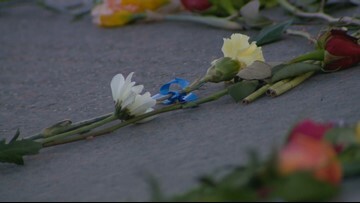 A vigil Friday night at the Columbine memorial in Clement Park was a time for quiet reflections. There were no speeches, just moments for people to pay their respects. Rick Townsend, whose daughter Lauren Townsend was killed in the Columbine High School shooting, says he's not an expert on tragedy: he's just someone who lost his daughter. Coni Sanders says in the 20 years after her father's death in Columbine High School, she's realized how many lives he saved and how he might have been in the right place at the right time. Columbine survivor Craig Scott was a sophomore on April 20, 1999. He remembers his sister, senior Rachel Scott, dropping him off at the front entrance so he wouldn't be late to class. That was the last time he saw her alive. The series is part of the Beyond Columbine project by Rocky Mountain PBS. This weekend will be filled with remembrances for Columbine, and community gatherings looking to the future, 20 years after the shooting. Kevin Vaughan from 9Wants to Know covered the shooting, the investigation, and the community's recovery in the years since. Kevin took a moment today to reflect. 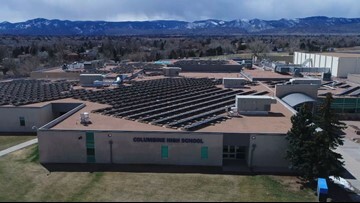 Even twenty years later, there are many stories of Columbine we don't know - the connections made, and incredible personal growth of those most deeply affected. One of those stories revolves around Sean Graves. Three social studies teachers and one counselor at Columbine High School now work there after surviving the shooting 20 years ago. Noel Sudano is a guidance counselor at Columbine High School and sought shelter at a friend's house on April 20, 1999. 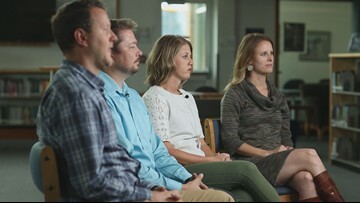 Four staff members who were students at Columbine High School in 1999 when the shooting happened discuss why they returned to the school.